From Newbery Award–winning author Patricia MacLachlan comes a “quiet tale about finding your own voice” (Kirkus Reviews) while learning to understand the people you love the most. Sylvie Bloom wants to find something new and exciting this summer—at least more exciting than the cows, goats, and chickens on her family’s farm that she’s become accustomed to. Luckily, Sylvie’s teacher Mrs. Ludolf has the perfect idea. Sylvie can take over her husband Sheriff Ludolf’s column in the newspaper for the summer, reporting on all the important events that happen in their small Wyoming town. Sylvie is thrilled to have a new challenge, but she’s not sure she’ll actually see anything amazing. At least nothing like the things her mother saw when she traveled the world as a famous opera singer. Sylvie can’t figure out why her mother would give up singing in front of thousands of people. Have she and her brother Nate been holding her mother back? And when her mother’s old duet partner James Grayson writes that he’s coming to perform nearby, will she be tempted to return to the stage, without them? Patricia MacLachlan is the author of many well-loved novels and picture books, including?Sarah, Plain and Tall, winner of the Newbery Medal; its sequels,?Skylark?and?Caleb’s Story;?Edward’s Eyes;?The True Gift;?Waiting for the Magic;?White Fur Flying; and?Fly Away. She lives in western Massachusetts. 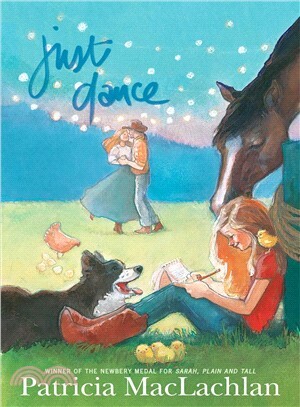 Amy June Bates has illustrated books including the Sam the Man series,?Sweet Dreams and That’s What I’d Do, both by singer-songwriter Jewel;?and?Waiting for the Magic?by Patricia MacLachlan. She lives in Carlisle, Pennsylvania, with her husband and three children.